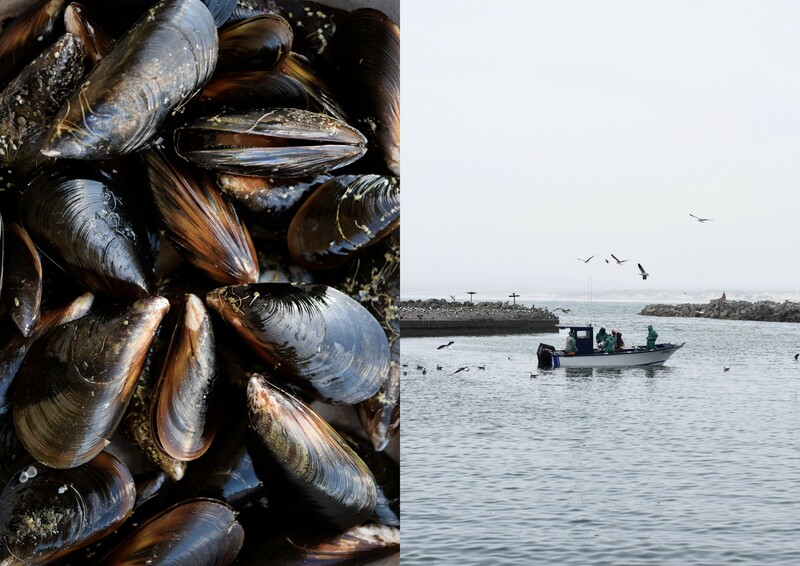 There’s more to the West Coast than windswept beaches and bokkoms. 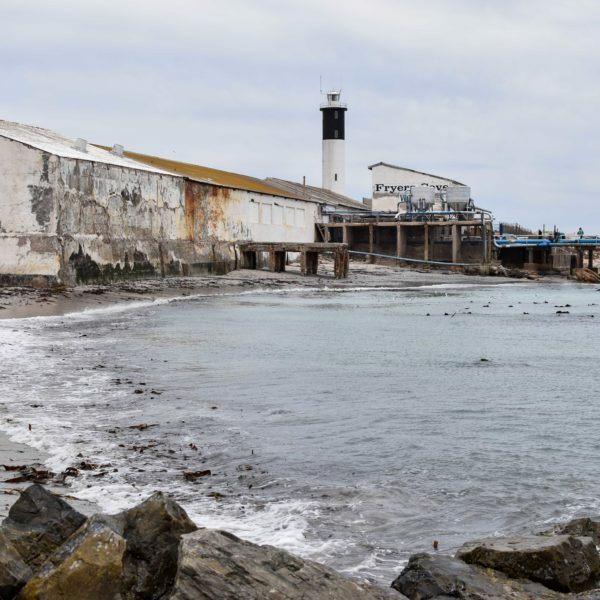 I travelled up to the fishing town of Lambert’s Bay in search of one of the area’s best-kept secrets – the celebrated single vineyard Sauvignon Blanc cultivated on Kookfontein wine estate. 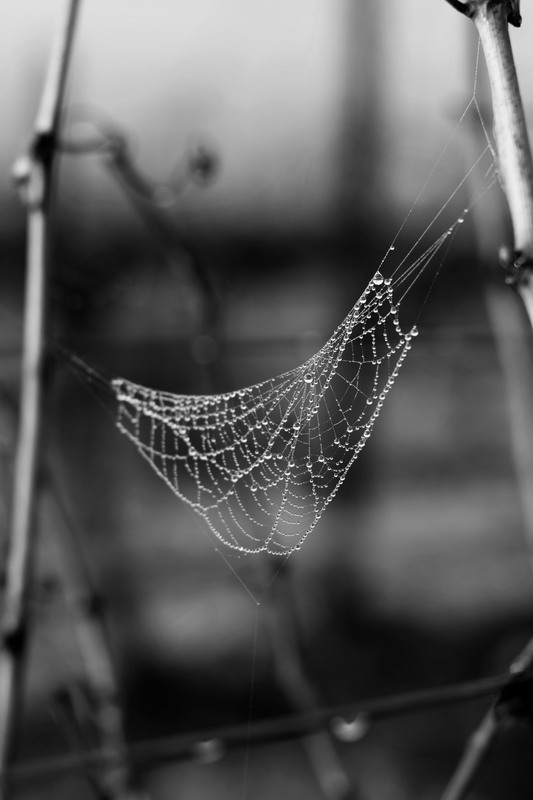 Settled in a small valley a mere 5 minutes from the centre of Lambert’s Bay, Kookfontein is a farm unlike the norm for the Cape West Coast. 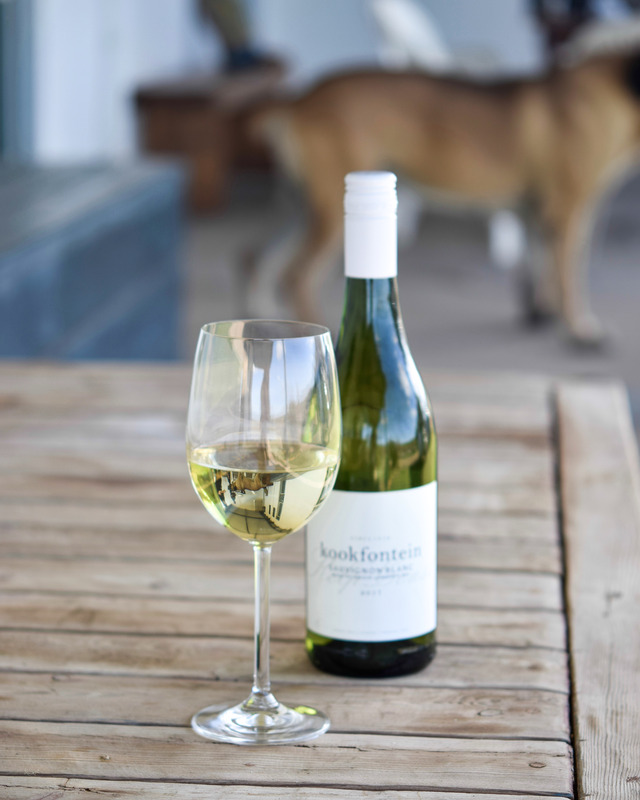 Home to one of the most celebrated single vineyard Sauvignon Blancs in the area, owners Joos Engelbrecht and Theunette van Heerden have turned their ancestral nineteenth-century farmhouse and adjacent stables into a picturesque piece of land that manages to seamlessly amalgamate Kookfontein’s agrarian appeal with all the creature comforts of home. 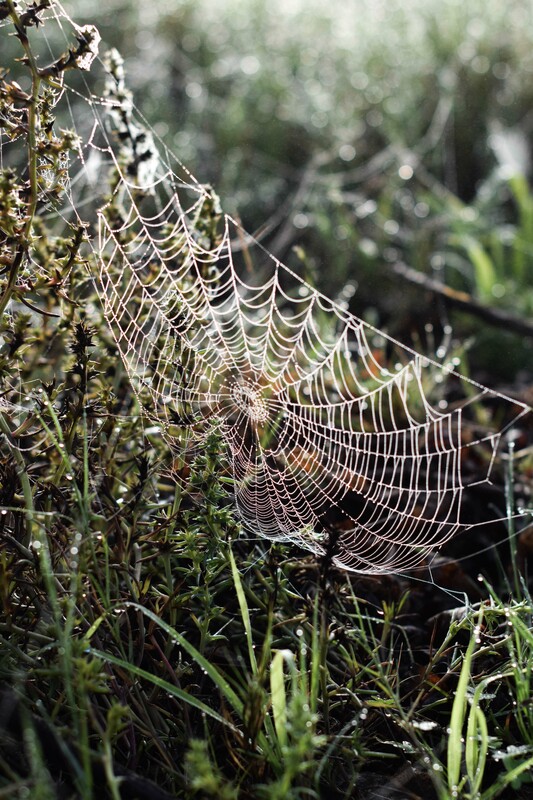 Making for the perfect weekend getaway, a dirt track leads directly past the farm and so traffic is minimal. 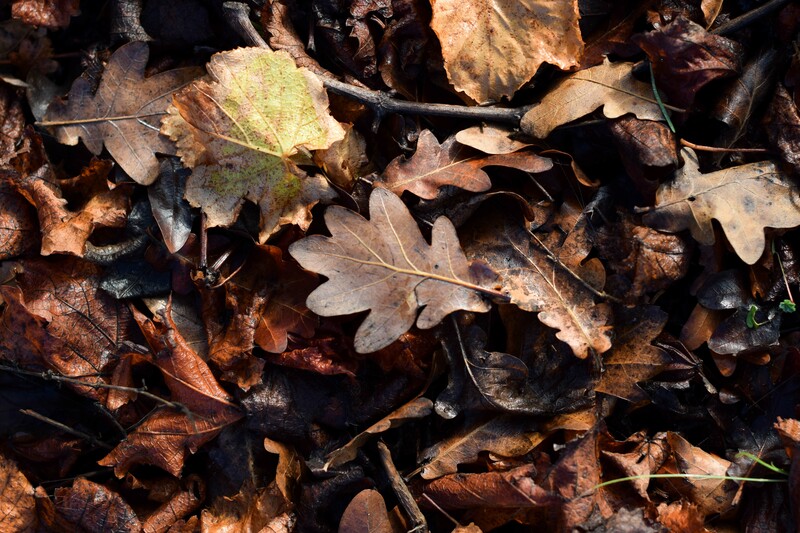 Large oak trees flank the entrance and the farmhouse and refurbished stables peek out from the surrounding vineyard. 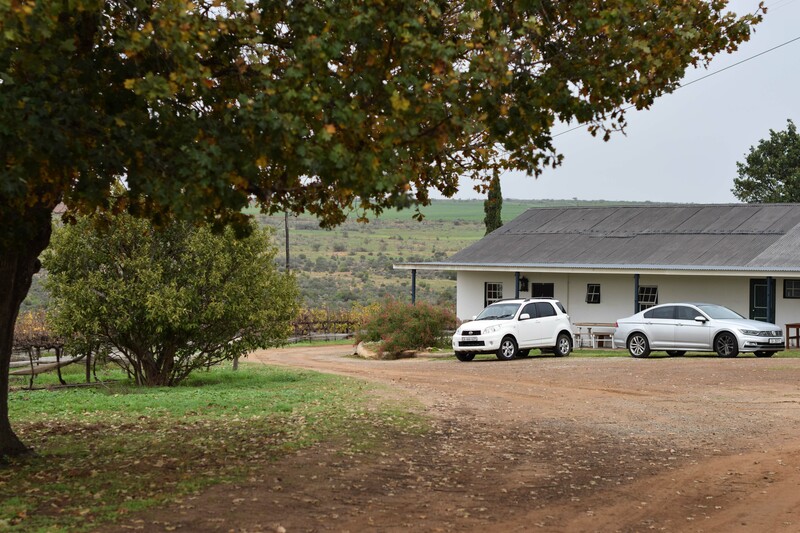 Accommodation is simple, clean and comfortable, with the stables now housing weekend guests instead of horses and small glimpses into the farm’s past offering a nod to what the buildings once were. 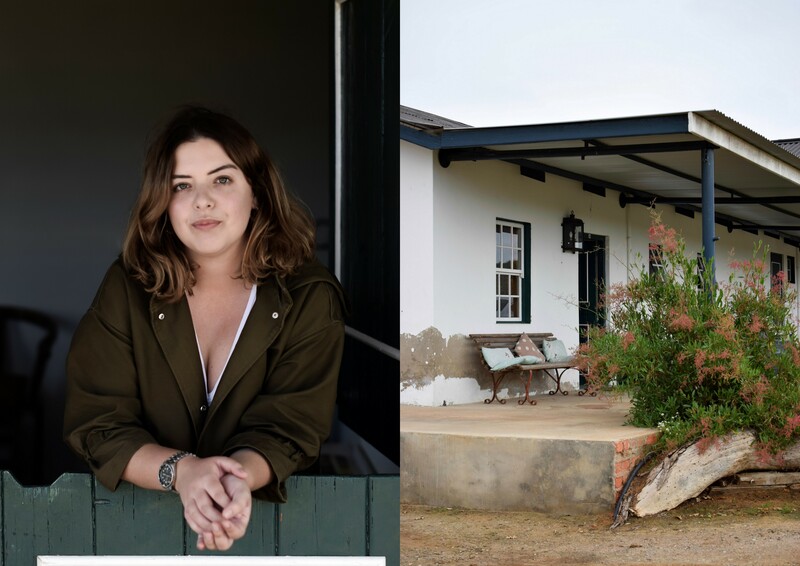 Thick whitewashed walls, a corrugated iron roof and stable doors lend the cottages their aesthetic appeal, while comfortable beds, cotton sheets and the allure of an electric blanket makes a winter stay even cosier. Linked by the same afdak but each with their own entrance, the cottages are best booked by a crowd of four to six guests. 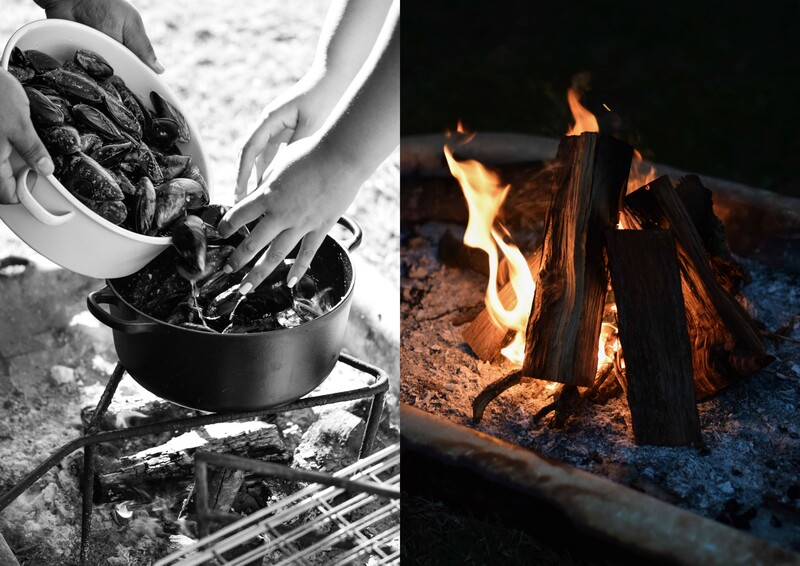 Gesêlsvure can be made in the old zinc bathtub outside, with the verandah making an ideal spot to get the potjie on the go, bundle up and sip on Kookfontein’s excellent Sauvignon Blanc – yes, even in winter! 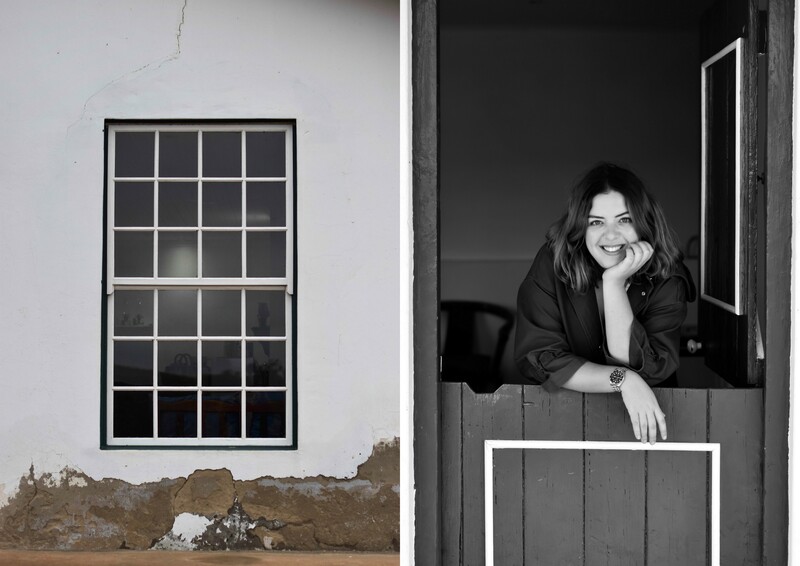 Speaking of wine, tastings of Kookfontein’s vintages can be enjoyed in Joos and Theunette’s beautiful home. 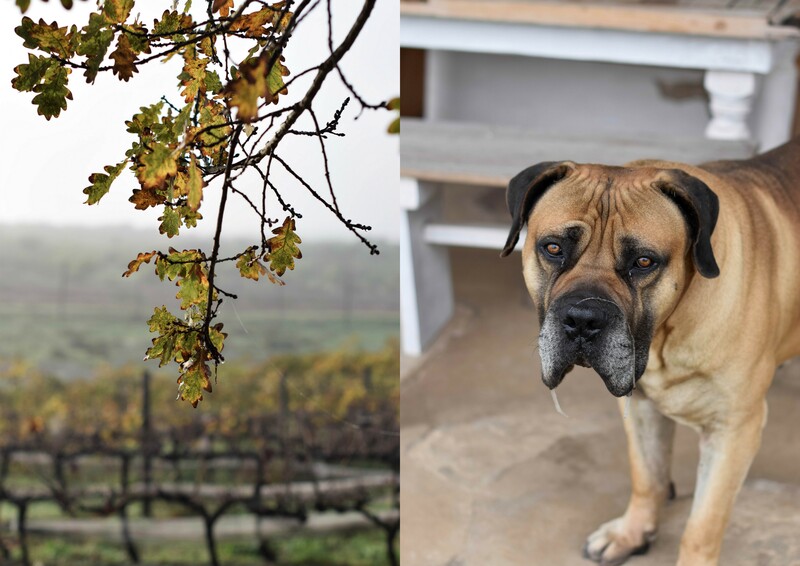 Greeted by Cango, truly one of the largest boerboels (a South African Mastiff) I have ever seen, our hosts welcomed us to join them in a sampling of the farm’s Sauvignon Blanc varietals ranging from 2013 to 2017. 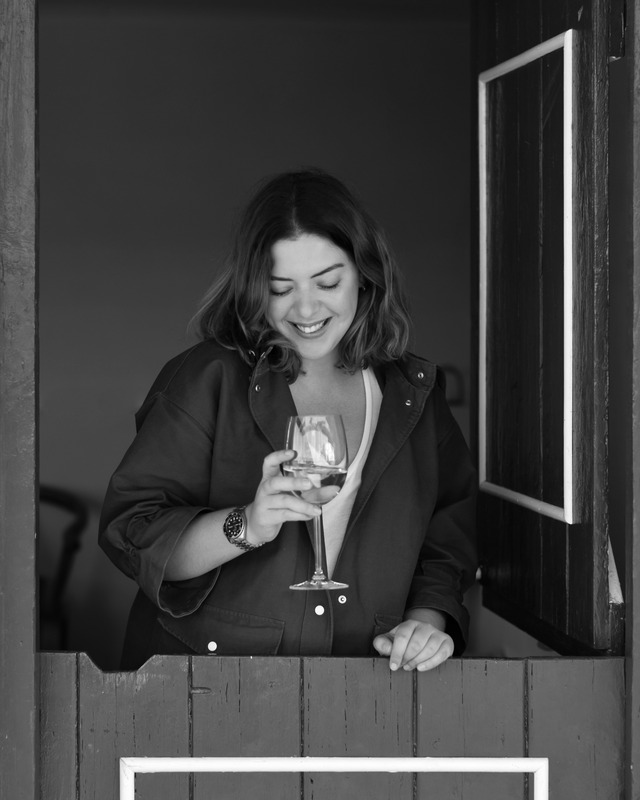 Having been introduced to the concept that white wines propagated on the West Coast are best drunk two to three years after bottling, it was the former vintage that proved to be my favourite. 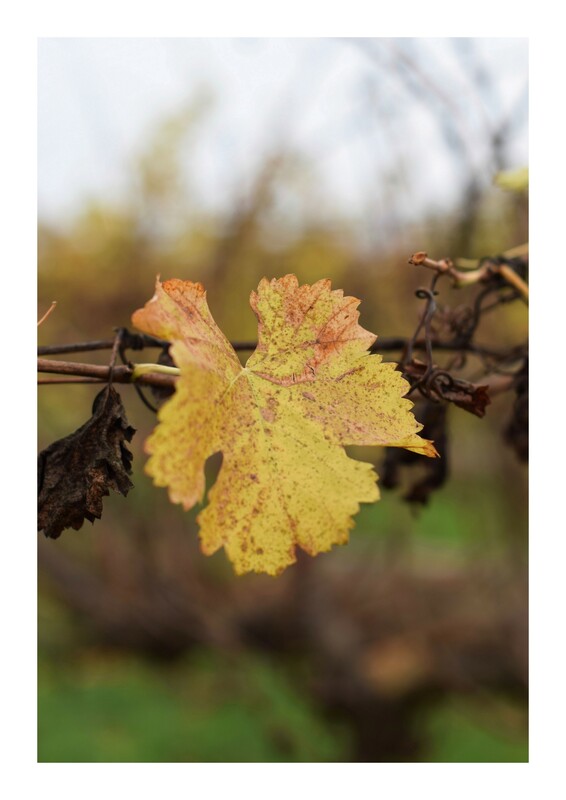 A fuller bodied wine, with a citrus undertone in the flavour, the older the Sauvignon Blanc becomes, the more it moves towards being a Chardonnay. 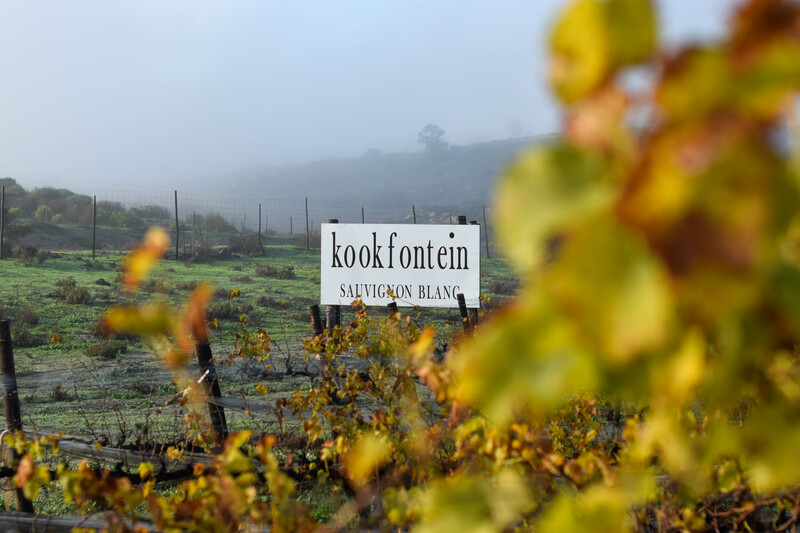 Kookfontein began bottling it’s single vineyard Sauvignon Blanc wines in 2010, with the wines cellared at Fryer’s Cove winery in nearby Doringbaai. 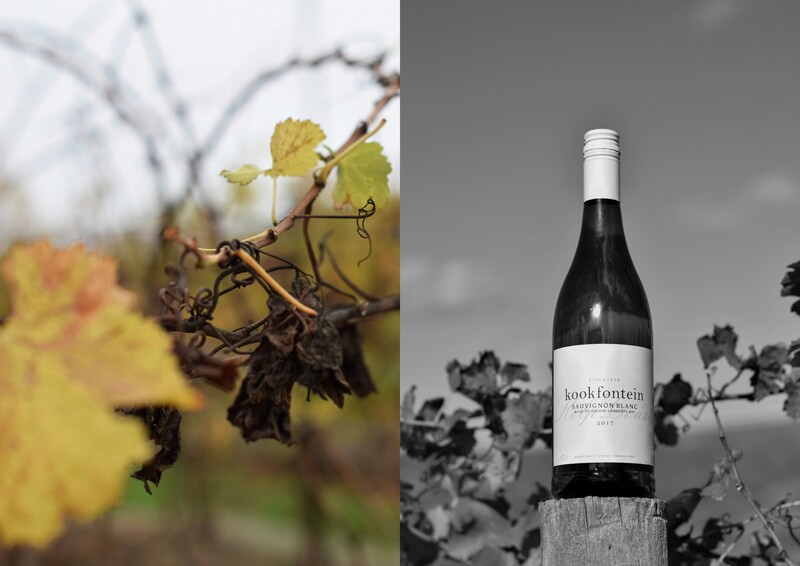 Kookfontein’s grapes are harvested by local farmhands, making the entire process a truly West Coast process. 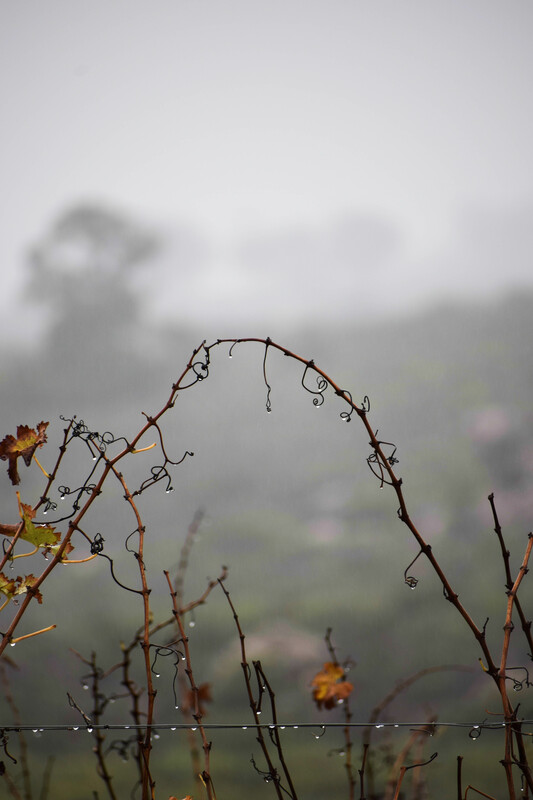 Known as “cold weather white wines”, varietals such as Sauvignon Blanc, Chenin and Chardonnay grown in the area tend to last longer and mature better than their warm weather counterparts cultivated in places like Robertson, Franschhoek and Stellenbosch. 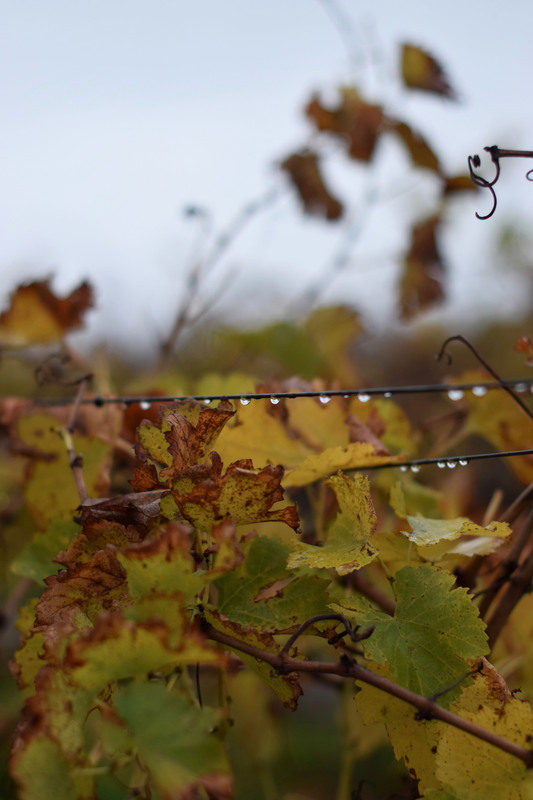 The colder climate means that the sugars naturally found in white varietals take longer to materialise, thus allowing the wines to mature at a gentler rate. 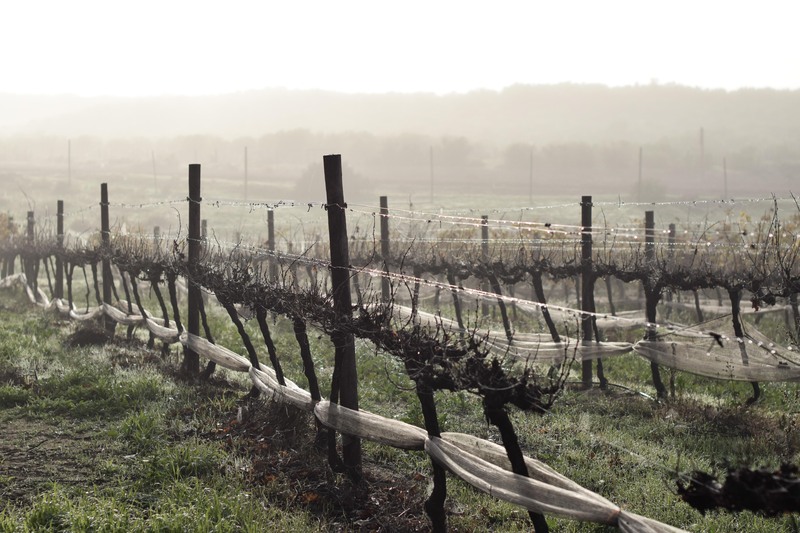 What makes the white wines of the West Coast unique is that they are exposed to an icy early morning sea mist in the summertime, cooling the grapes and creating wine with a crisper taste. 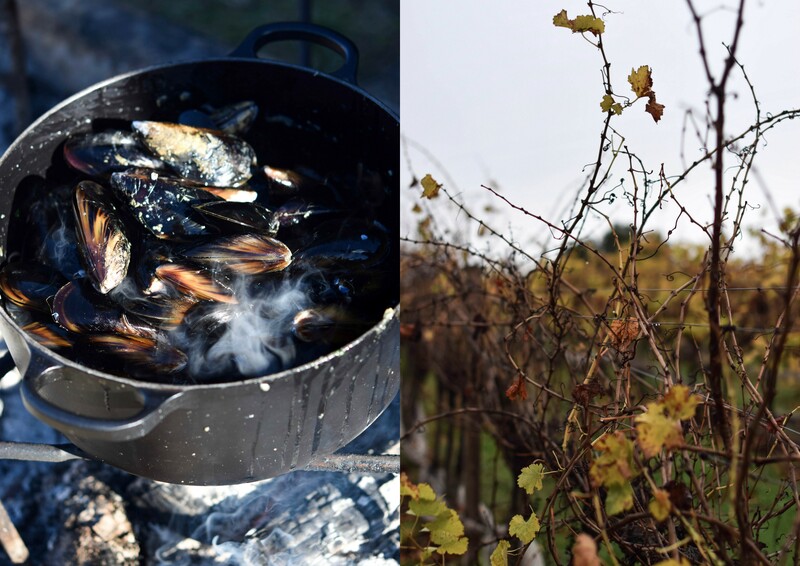 The soil itself is set on a farocrete bedrock, which also lends a flinty minerality to the wines, giving them a distinctive salty dusty flavour that provides the ultimate pairing with seafood and shellfish. 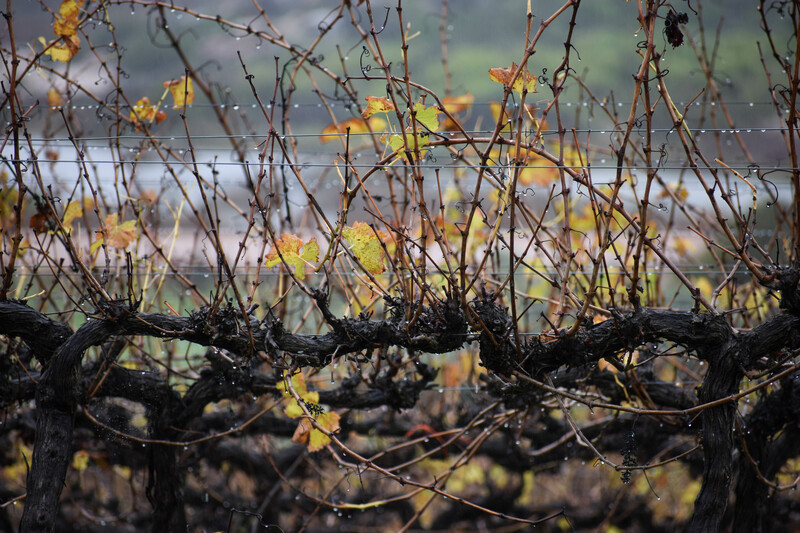 This unexampled terroir births wines that are able to encapsulate the atmosphere of the West Coast – crisp evenings, misty mornings and a landscape shaped by the vast Atlantic Ocean. 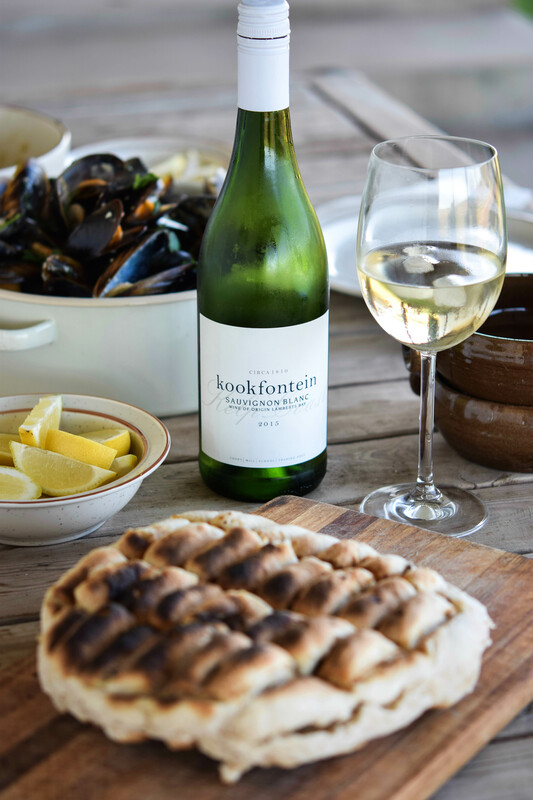 Although the wines produced here may be top-notch, the fact that Kookfontein is predominately a potato farm cannot be overlooked. 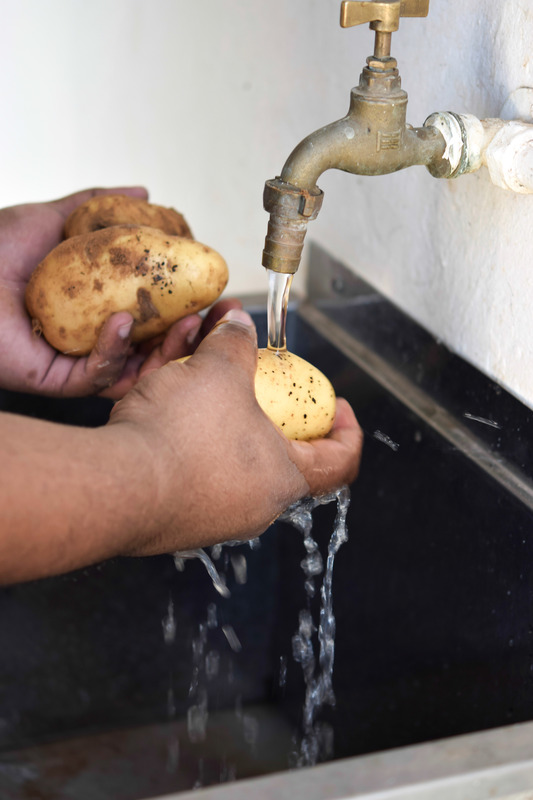 This is of course the Sandveld – South Africa’s premier potato-growing country. 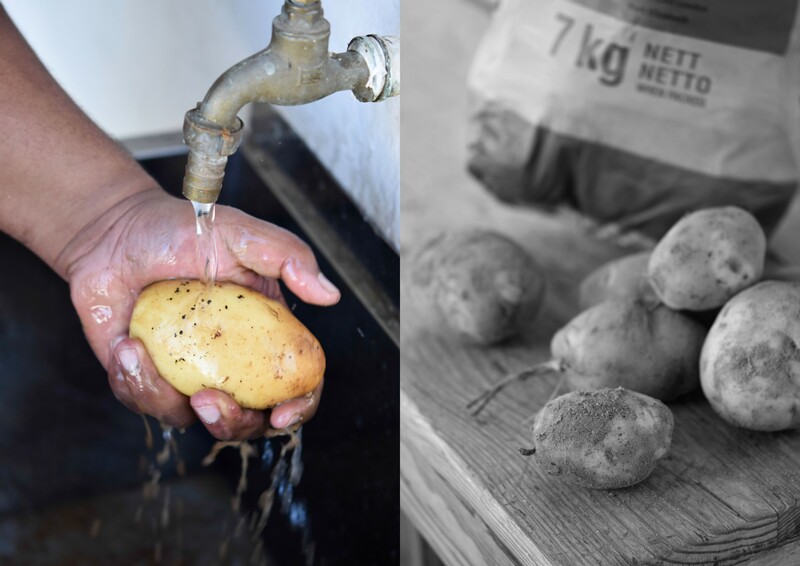 Fed by the nearby Jackal’s Creek as well as an ancient aquifer, Kookfontein produces an entire host of potatoes – from the popular Sifra to cultivars like the Beauregard sweet potato, Electra, Mondial, the red-skinned Apache and the waxy Nicola. 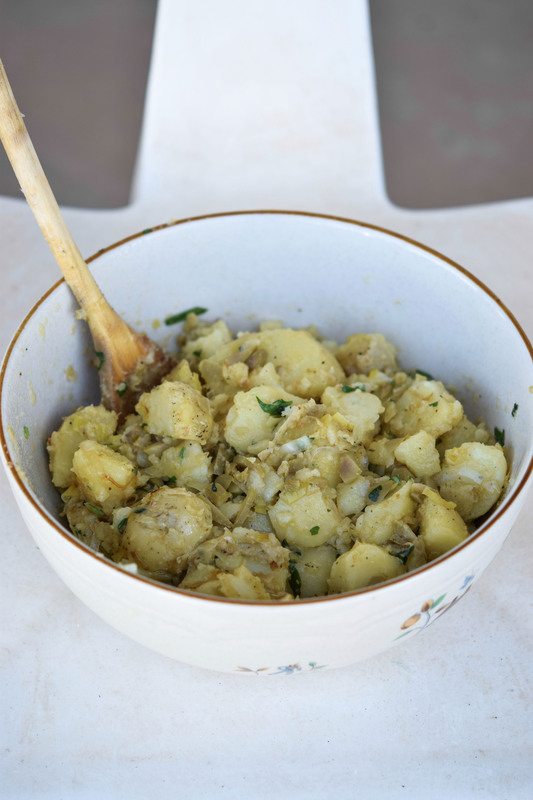 Mainly farmed for countrywide retailers, Joos explained that potatoes grow year-round and the farm can often produce a harvest of 30 tonnes per week. 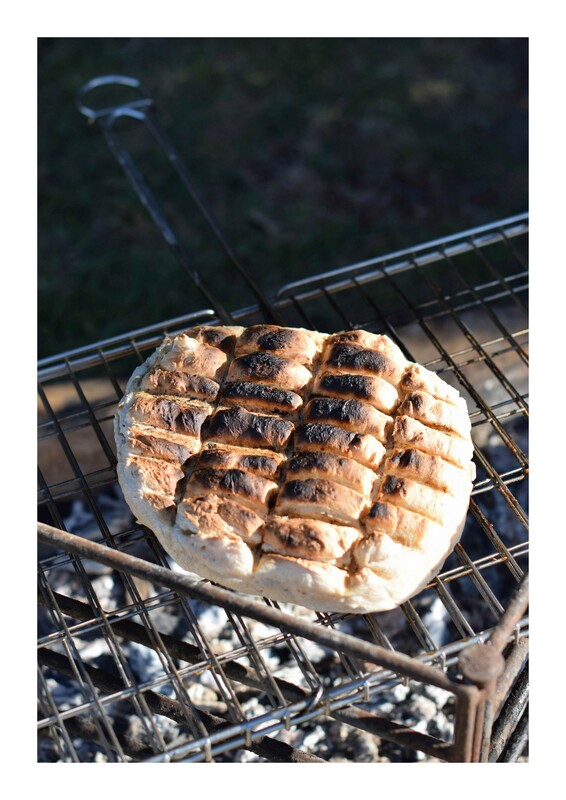 Best kept underground for freshness, there is little to beat a potato pulled straight from the earth and baked amongst the coals. 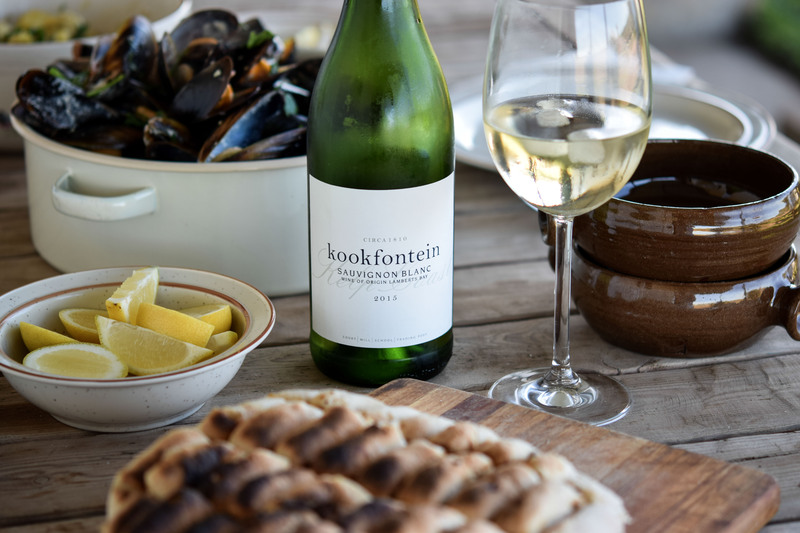 Inspired by the distinctive sapidity of Kookfontein’s Sauvignon Blanc, we decided to pair the 2015 vintage with Mediterranean mussels sourced in Velddrif from Blue Ocean Mussels. 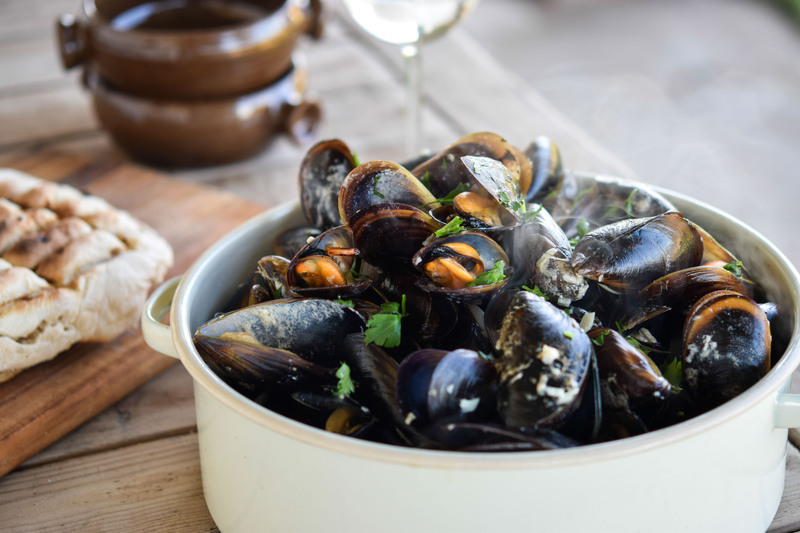 Since I was fortunate enough to spend a weekend away with the dynamic duo Megan and Clement – a food stylist and chef respectively – I was treated to a dish of these fresh Saldanha Bay mussels steamed over the fire in a mixture of leeks, fresh cream and a healthy glug of Kookfontein. 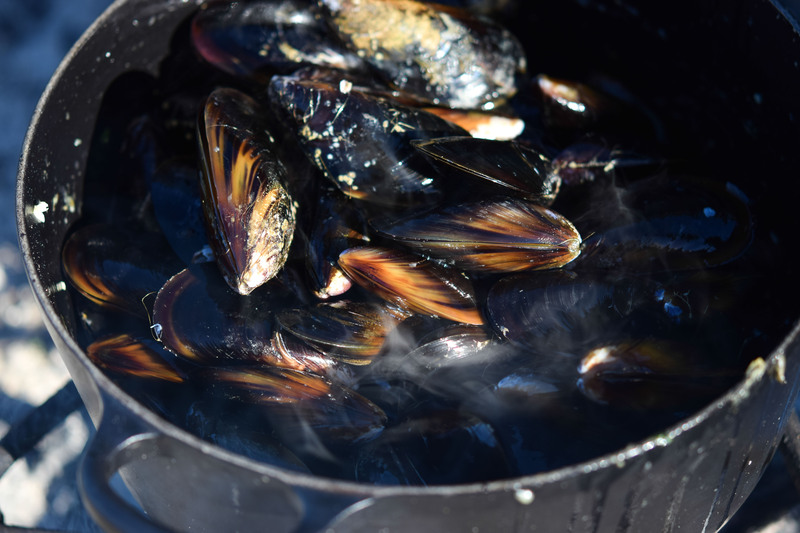 Utterly heavenly when eaten as is, the mussels were paired with Megan’s warm potato salad and a large roosterkoek that we broke apart and used to mop up all the lovely briny liquid left over from the mussels. 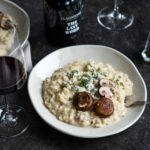 Eaten outdoors on the sunny stoep, and overlooking the russet leaves of the vineyards in winter, ours was a lunchtime feast that could have easily overtaken that of any haute cuisine restaurant in the city. 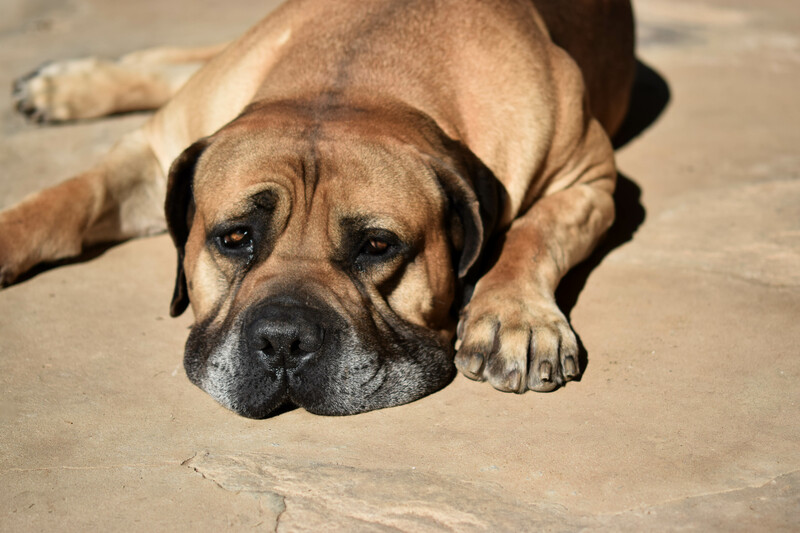 The air was mild, the scent of the sea refreshing and the sound of Cango snoring softly left us wishing that we had booked in for one more night.